What Is a Pen Vape and Where Can I Buy One? Vaping continues to grow in popularity among marijuana users. For those allergic to smoke or who simply don’t like the smell, a pen vape or vape pen allows them to enjoy cannabis without the hassle of dealing with smoke. Vaping involves heating cannabis to its boiling point at which THC (and cannabidiols) are extracted, vaporized and inhaled. It typically makes for a much smoother experience than burning marijuana. Technology in the area has advanced to include vape pens, small vaporizers that make the process more convenient than ever. As with other products such as cannabis-infused edibles, a vape pen allows people to enjoy marijuana without dealing with the smoke caused by combusting cannabis the old-fashioned way. Vape pens usually come – naturally – in pen-shaped and pen-sized options. A small amount of marijuana is vaporized and inhaled. You can buy a pen vape at a dispensary or from online marketplaces. You can use vaporizers with ground marijuana flower or with oils or wax. With normal vaporizers, some are “whip style,” with tubing that connects the vaporizer element to the mouthpiece. Others are “bag style,” which involves a bag attached to the heating chamber that is filled with vapor. Vape pens are much smaller and typically have just a mouth piece, tank and battery. It’s convenient to carry and easy to conceal for those who value discretion. Even taking a hit off a vape pen is easier. It just requires a slow, normal breath – no inhaling until you are red in the face. This is for adults, not bong-loving college students. Many vape pens now come made from ceramic, for the very reason ceramics are used in the kitchen. They can heat to the point of vaporization without burning the material involved. That, in turn, leads to a smoother experience. 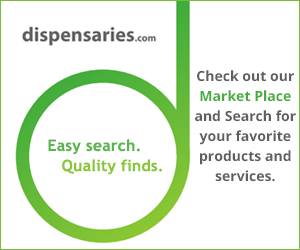 ← Where Can I Buy Cannabis Infused Products and What Are My Options?